Due to the success of our placements in Phnom Penh we have now expanded to Siem Reap. Siem Reap is a large town about 5 hours’ drive from Phnom Penh and is famous for being the closest town to the incredible temple complexes of Angkor Wat. Volunteers living in Siem Reap, have the vast temples on their doorsteps, about twenty minutes’ drive from our newest shared volunteer house. 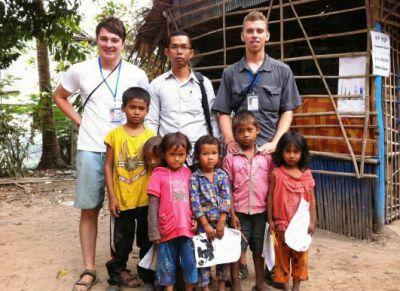 The first volunteers started in Siem Reap in early January, and have enjoyed getting to know this new area of Cambodia. One of our staff from Phnom Penh, Bunroen has also moved to Siem Reap to become the Regional Coordinator and he is now settled into his new home.